Marriage is two forgivers living together. A successful marriage takes hard work & commitment. 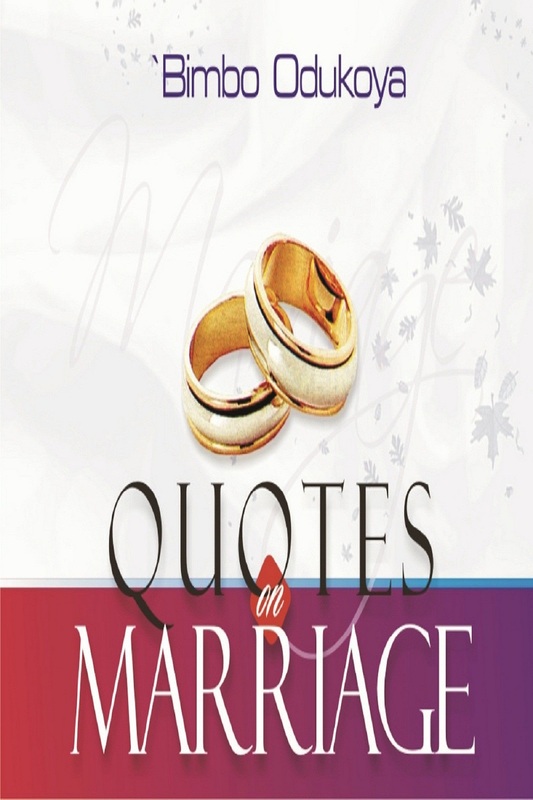 Quotes on Marriage is a collection of nuggets used by Pastor Bimbo during counseling and ministrations. Marriage is two forgivers living together. A successful marriage takes hard work & commitment. Quotes on Marriage is a collection of nuggets used by Pastor Bimbo during counseling and ministrations. It is about making the right choices in the process of building a happy, lasting marriage. Short & simple, each quote with the accompanying Scriptures will help you get the best out of your marriage.